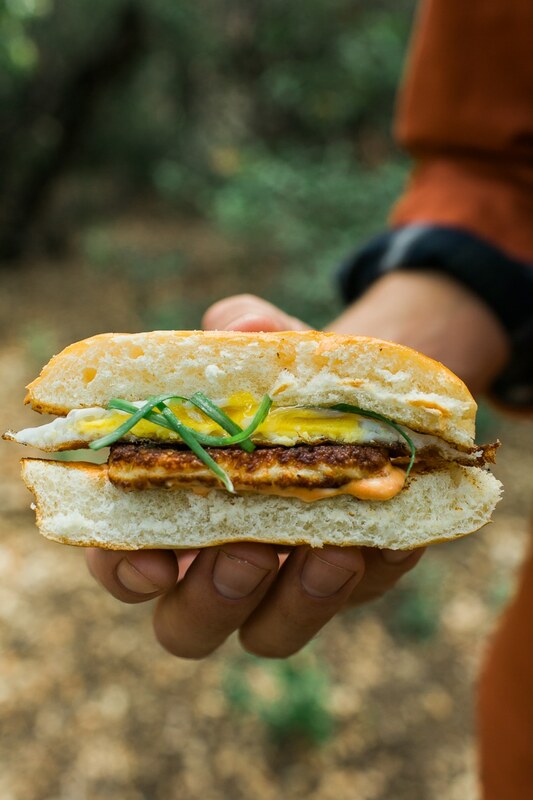 Grilled halloumi cheese, sweet Hawaiian rolls, a fried egg and spicy mayo come together to make a fantastic quick and easy camping breakfast. At the Grand Central Market in downtown Los Angeles there is a line. No matter what day of the week or what time of day, this formidable queue of people snakes up one aisle and down the next as if it were a permanent fixture of the room. 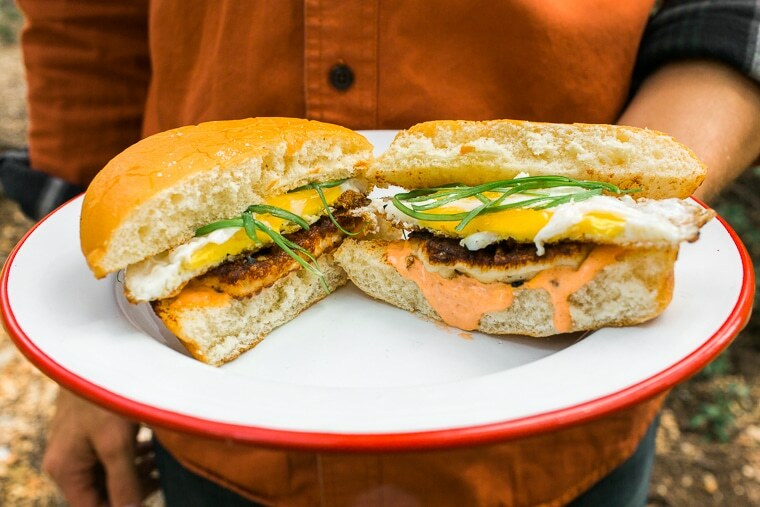 If you follow this line to its end, you will arrive at Eggslut – the breakfast sandwich Mecca of LA. What if, instead of sodium nitrate ladened SPAM we used Halloumi cheese? This semi-soft cheese comes from Cyprus but has become fairly popular all over. It’s unique from other cheeses in that it has a very high melting point, which allows it to be grilled. 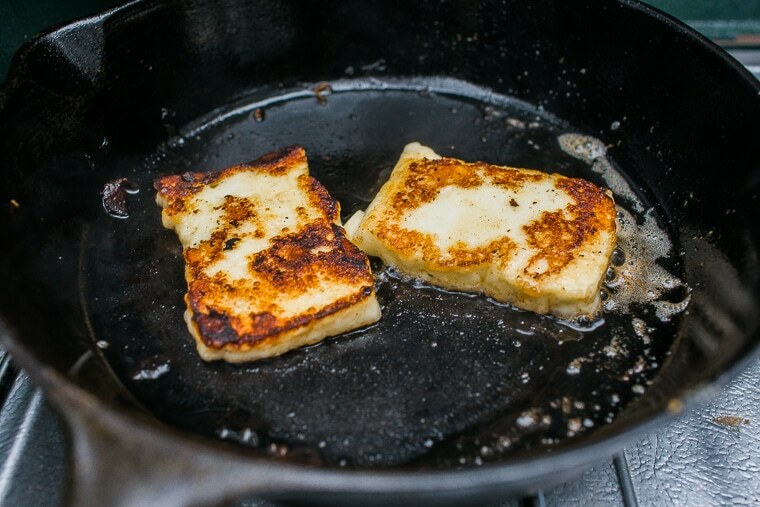 When fried in a well-oiled pan, Halloumi cheese can take on a wonderfully crispy, crunchy texture that perfectly complements the rich, gooey texture of an egg. 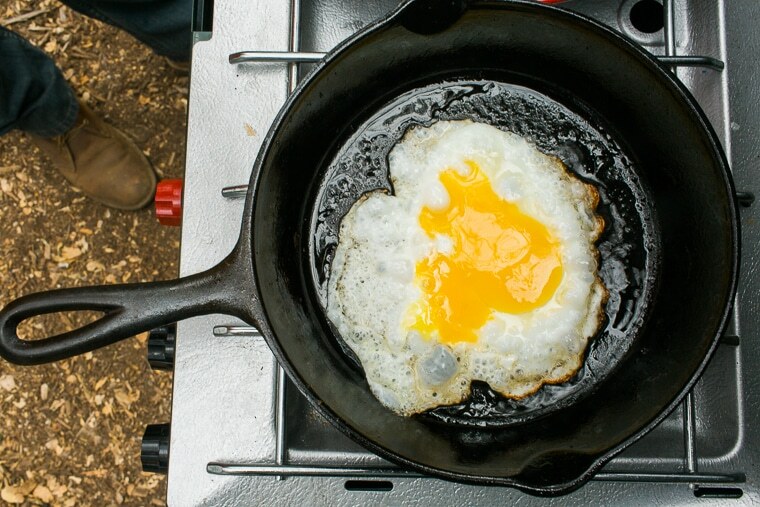 An egg sandwich like this is great for camping because it only uses one cast iron pan and a small mixing bowl. No serving plates required. 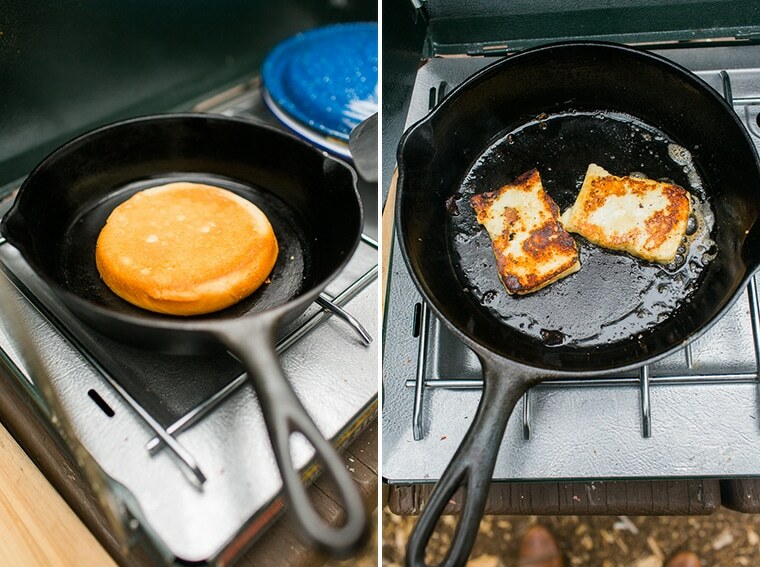 And when you’re trying to enjoy the great outdoors, the fewer dishes the better – especially in the morning. 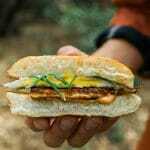 Give this sandwich to somebody on your next camping trip and we bet they won’t even need a napkin to wipe up the extra sauce. Heat half the butter or oil in your skillet over medium high heat. Once melted, add the cheese. Fry on each side until golden brown in spots, about 3-4 minutes per side. Set aside. This step could also be done on a grill if you have one going. In that case, skip the butter/oil, and place the cheese directly on the grill. Heat the remaining butter or oil over medium heat. Once melted, crack the egg into the skillet. Totally optional step: Once the whites begin to set, you can use a fork to mix up the yolk a bit so that it gets distributed throughout the egg a bit, so there will be yolk in every bite. Cook the egg for about 4 minutes, or until they are cooked to your preferred doneness. 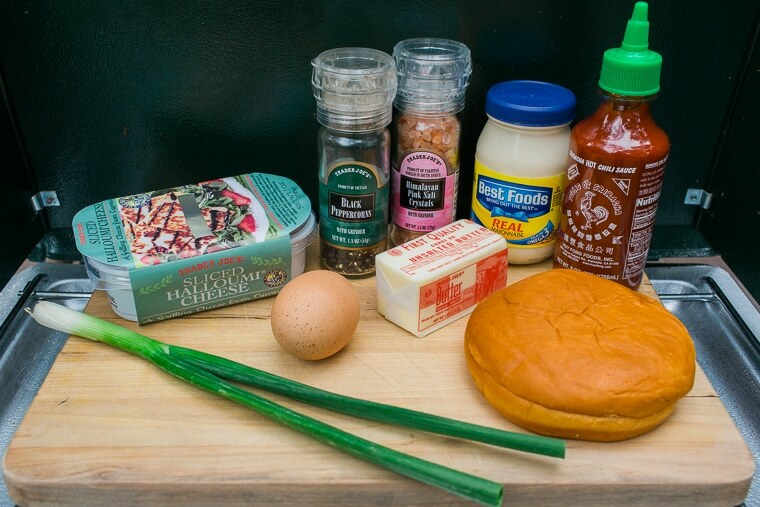 To assemble, spread the spicy mayo on each cut surface of the buns. 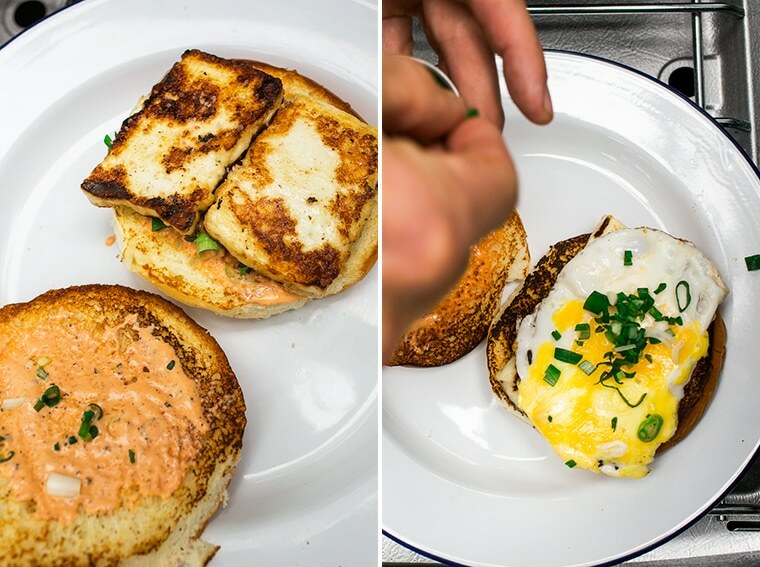 Layer on the grilled halloumi, egg, scallions, and salt & pepper to taste. p.s. did it again for my husband when I got home. He loved it to, so it’s going in the camping file! Seriously? This looks so good! Love the simplicity of it, too! Simple, real food. So good. My husband would LOVE this for breakfast! 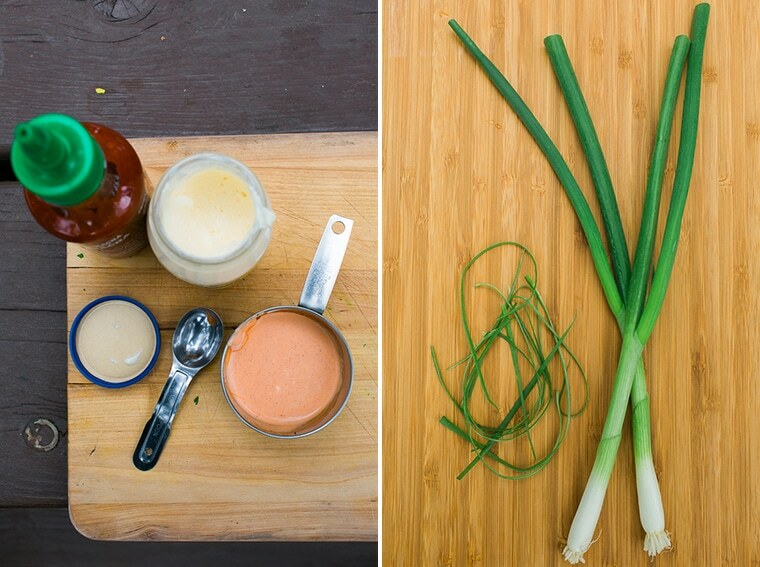 Yum, this looks really good but for a Non-GMO option will choose Tabasco and Trader Joe’s organic mayo for the sauce. Rock on! Good call! I believe that the Trader Joe’s brand sriracha sauce is also non-GMO. Haven’t tried it myself, but it might be worth looking into!